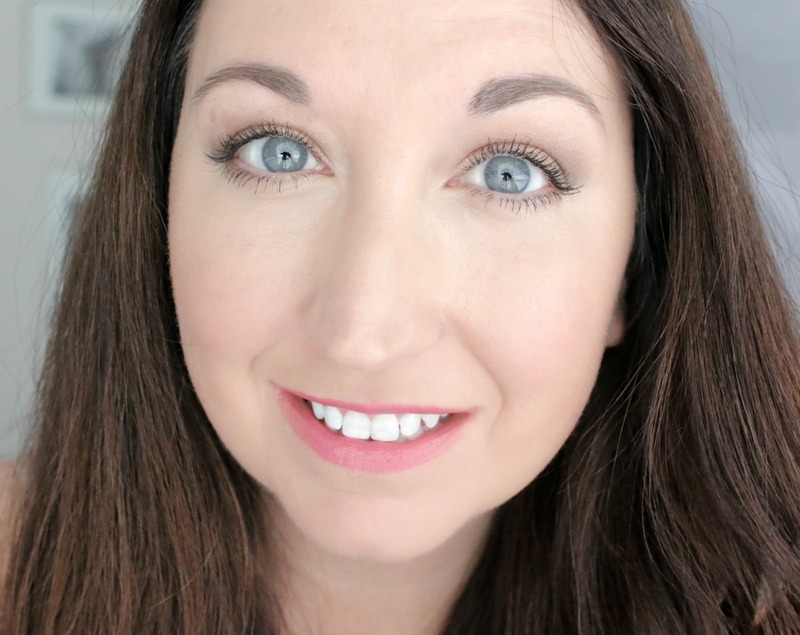 Did someone say new mascara? Because I am here.for.it. When I was in ULTA a few weeks ago I saw this new mascara from Maybelline. I must have been ill. I went to another ULTA and the The Falsies Push Up Angel was silently beckoning me. I had to buy it, y'all. If you follow me on Insta or Snap, you saw a preview of this. I began my review then. The following week, Maybelline sent me some more via a box of balloons--an awesome surprise. So after testing it, I'm ready to share my thoughts. 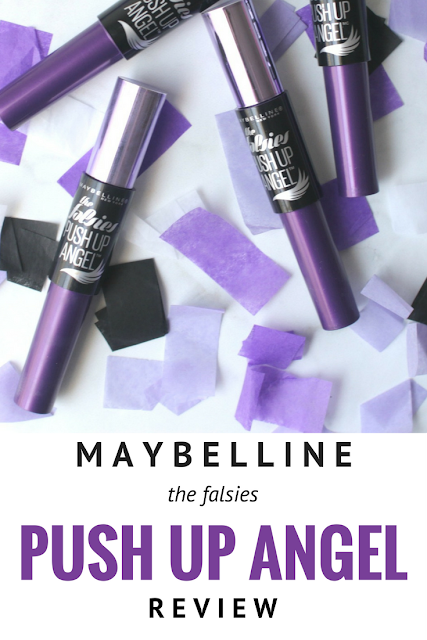 Maybelline's The Falsies Push Up Angel Mascara has a push-up wing brush that sweeps lashes to the side, while lifting and plumping from the roots. Let's get a close up of that spoolie (mascara wand). You can see a curve to it, and that it is very thin. It's also a bendy plastic, not a traditional bristle wand. It is different from their other mascaras. The formula reminds me of hot fudge, oddly enough, in terms of thickness. It's a really nice formula. It's like a thicker version of L'Oreal Telescopic with a little of Benefit's Rollerball to it. 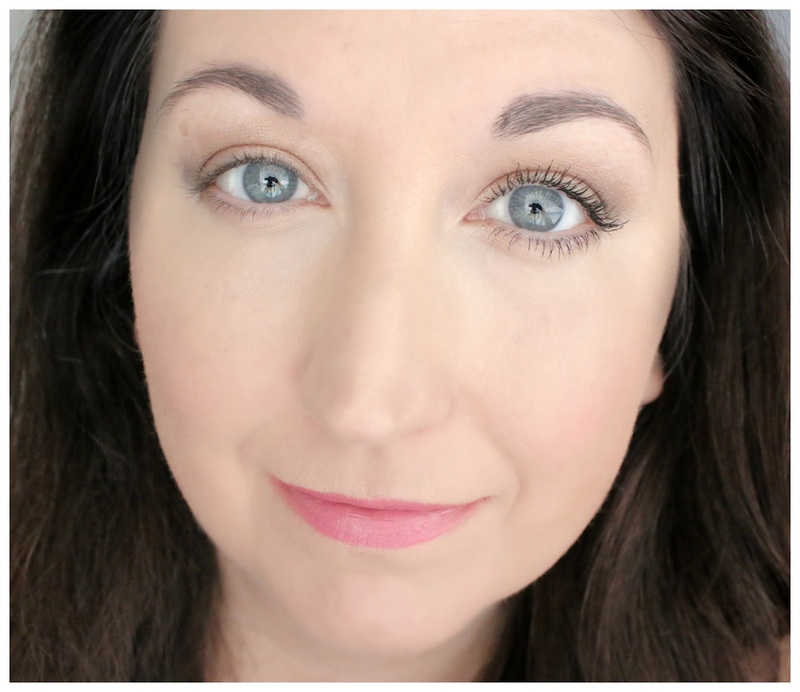 Here's the before and after--no curled lashes, just mascara on your right! ONE coat! And here it is on both eyes! By the way, I'm wearing all drugstore makeup here, minus my own creation for my lipstick. This is my no-makeup makeup/everyday look. Occasionally it will flake a little, which is my issue for most Maybelline mascaras, but this is nothing like usual. Washes off easily and doesn't irritate my very sensitive eyes. You can really see the difference! Your lashes look amazing! I need to try this! This sounds great, Elle! Your lashes are TDF. I hope they come out with a waterproof version! Wow! This mascara really made a difference. Thanks for sharing and have a great weekend! i'm a sucker for a good drugstore mascara! it's amazing what some of them can do as far as performance. rocking out! happy weekend girl! What an interesting wand. Thanks for sharing this mascara. Have a great weekend. 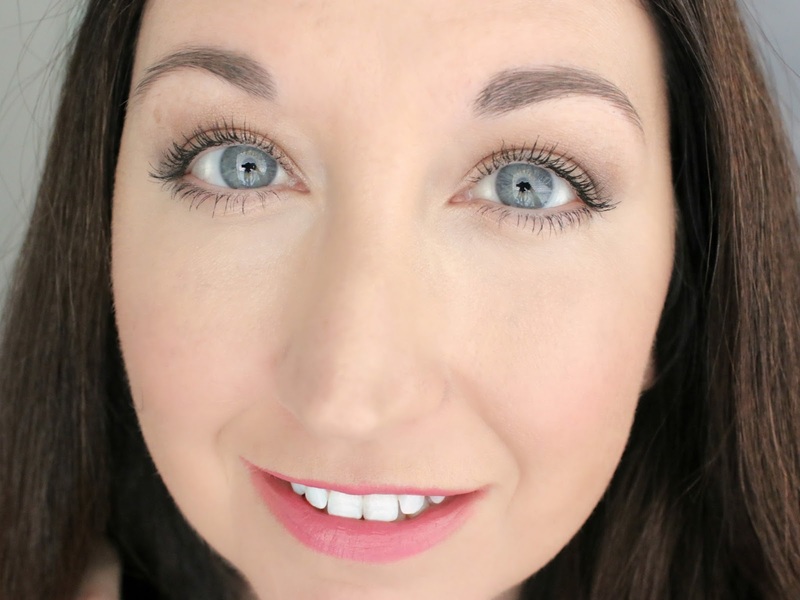 I would try this mascara just based on how fabulous your lashes look! Wow, I love the way this looks on your lashes--they looks so long and pretty, and not clumpy at all. This just got bumped to the top of my "mascara to buy next" list! 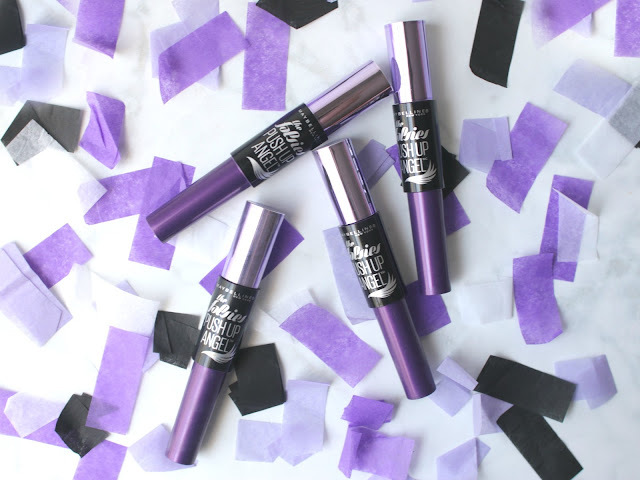 This sounds like something that my lashes will love so thank you for the review, Elle! Your lashes look amazing! I have seen it at Ulta and keep debating on buying it. You just convinced me to get it. Lol. That mascara looks amazing! 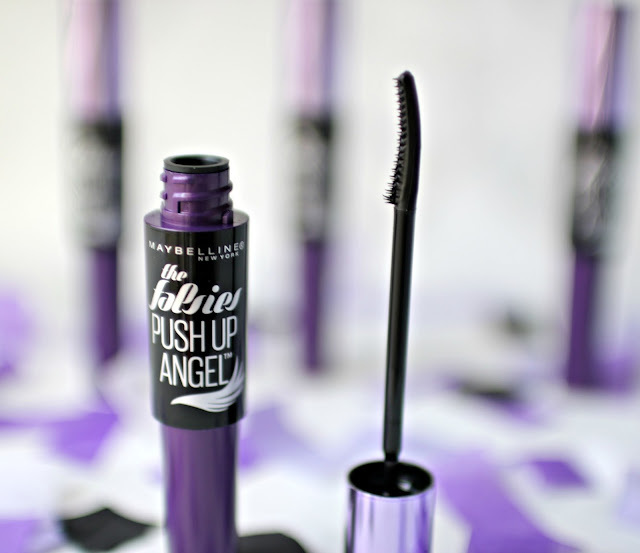 Maybelline has been coming out with so many new mascaras that it is hard to keep up! This one is definitely worth checking out! I really like the original formula of this, but this one sounds like it might be too thick for my liking. But it makes your lashes look really good! Ohhhhhh the packaging is gorgeous, I love purple!!! Your eyes look great, I totally want to try this! I am picking this up soon when I run out! Looks great! So cute that they sent it over with balloons! Have a great weekend! Wow your lashes look great and def look curled! I have heard so many great things about this mascara and it looks amazing on your lashes. I may have to stop in my Walgreens and pick it up! Push Up Angel sounds like something from Victoria's Secret, lol! I'm not a fan of this type of brushes, but the result is really impressive on you. If I can catch this on sale I'll give it a try! Wow! I love how it looks! And I am really impressed by the results after only one coat! I always used Great Lash, then my mom gave me two Bare Minerals & one MAC mascara she bought but wasn't going to use... I'm not sure how old they were, because I only used them each for a short amount of time before I had to throw them away because they got so dry. Anyway, I bought Great Lash after and the brush seems so TINY and SHORT. Ugh. So anyway, I'm needing a better drug store mascara! Oh, your lashes look fabulous! 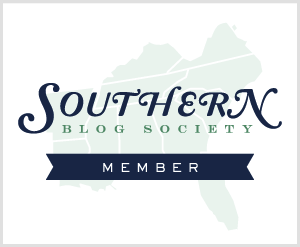 Thank you for the great review! I can't wait to try it. You look stunning in your photos! I like Maybelline and mascaras :) So this Falsies Push Up angel would be great for me too! I can see the difference, wow! It happens that sometimes we see something, don't buy and get it stuck in the head and buy it later :) The price is also good. 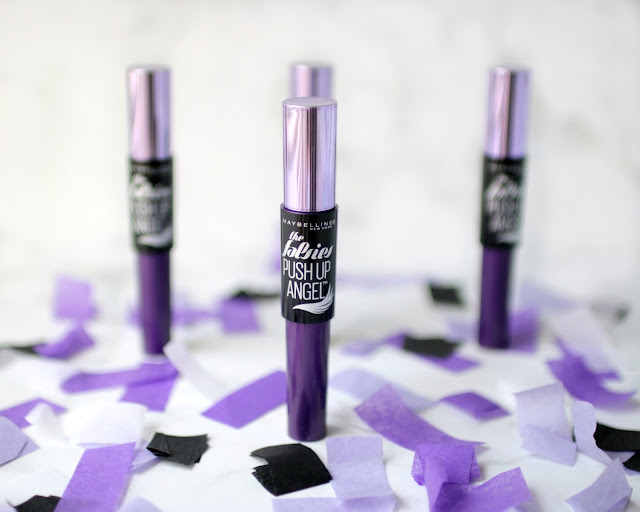 For me, the only downside is that I use contacts and I like waterproof products, but then I always apply a coat of a waterproof mascara over one like this Falsies one. I loved the lipstick color you made! The mascara did a great job enhancing the look of your eyes(: ... Its great that it does not irritate eyes and washes off easily. 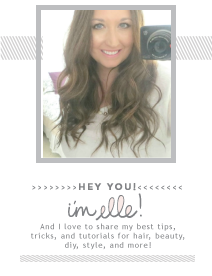 Okay, I've been eyeing this every time I see it - you've convinced me to give it a try ;) Love how it looks on you! Oh wow! What a dramatic difference! I will definitely check out this mascara! Wow...your lashes look great! I need to try this! I have been wondering about this mascara! The commercials always get me!